We’ve all been that person whose phone goes off in the middle of a meeting or a quiet movie theater. Or worse, as the vows are taking place during a wedding ceremony. 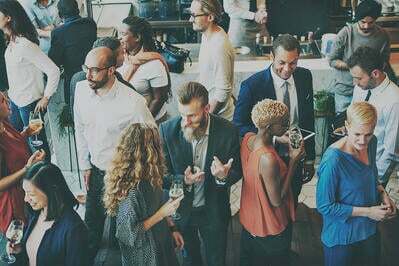 Regardless if your ringtone is a quick chime or your favorite pop song blaring at full-volume, you can see heads swiveling in your direction and all eyes on you. 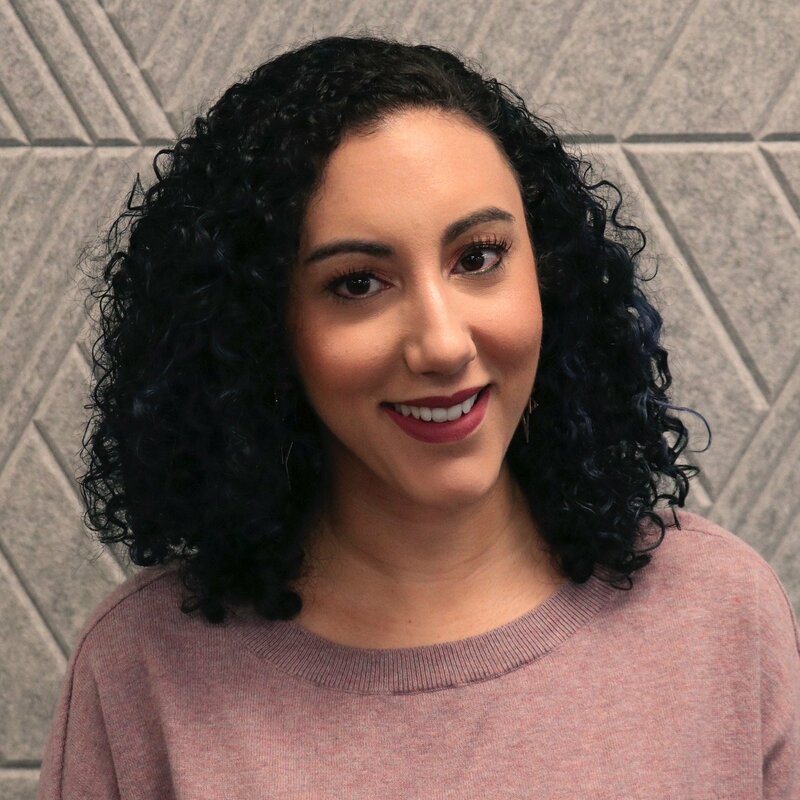 To tone down the dramatics, maybe you’re just tired of your screen lighting up with texts from a group chat or are trying to limit your screen time. No matter the situation, Apple has a solution in the form of Do Not Disturb mode. It may not be a new feature, but there’s a lot that goes into Do Not Disturb and all of its settings. If you’d like to learn more, keep reading for a complete breakdown. What does iPhone Do Not Disturb mode do? 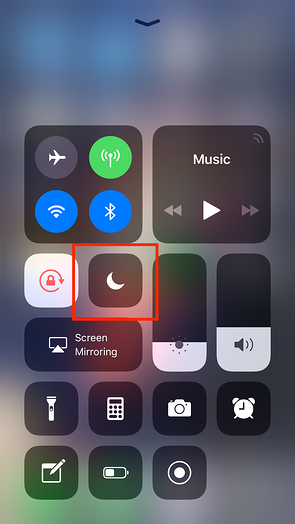 When turned on, Do Not Disturb mode on an iPhone stops all incoming notifications, phone calls, and alerts from making any sound, vibration, or from lighting up the lock screen. You can activate this feature from the home screen or the Settings page. What is iPhone's Do Not Disturb Mode? The Do Not Disturb mode on your iPhone is a way to stop all incoming notifications, phone calls, and alerts from, well, disturbing you. There won’t be any sound or vibration, your lock screen will stay dark, and incoming calls are sent directly to your voicemail. Do Not Disturb mode was introduced in September 2012 with the release of iOS 6. Since then, various tweaks and additional features have been added to the feature, making it more user-friendly and easier to customize to your needs and your specific schedule. Whether you’re only activating Do Not Disturb mode when you’re sleeping, choosing to hide notifications from a pesky group chat, or simply need a break from the steady stream of alerts, this iPhone feature is bound to come in handy. For more information on how to turn it on and the ways to personalize the settings so it works best for you, read on. 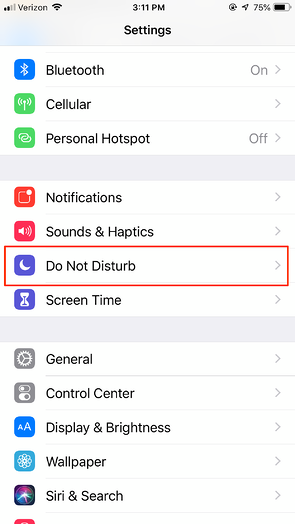 When you’re ready for a break from notifications, or about to step into an important meeting, there are various ways you can turn Do Not Disturb mode on. If you have an iPhone X, swipe down from the top right corner of your home screen. If you have an iPhone 8, 8 Plus, or an earlier model, pull up from the bottom. This takes you to the iPhone Control Center, where you can access a variety of features, including brightness, the flashlight, and screen recording. Tapping the crescent moon icon activates Do Not Disturb. You can also 3D touch this icon to be shown more options. Once on, you’ll notice the same crescent moon icon appears at the top of your home screen, in the status bar. You can also turn it on from your iPhone settings page. Once you tap Do Not Disturb and are in its settings page, toggle on where it reads Do Not Disturb. 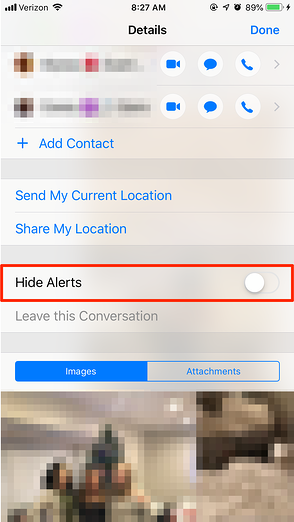 If you’re getting too many notifications from a group chat or from a single person, you can turn on Do Not Disturb directly from the text message thread. Either by the group chat title or the person’s name at the top of the thread, tap the arrow. This activates a drop-down menu. From there, tap the i icon for info. Once here, toggle on Hide Alerts, and this group chat, or single text thread, will be on Do Not Disturb mode. From the messages screen with all of your text messages, you’ll see the crescent moon icon by the conversation. One of the great aspects of Do Not Disturb is that you can customize it to exactly how you want it to work, when you want it to activate, and which notifications you’d like to still receive. Just go to the Do Not Disturb page in Settings to start customizing. If you’d like to set a specific time interval for quiet hours, Scheduled is the way to do it. This option is ideal if there is a set time every day, like when you’re sleeping, that you don’t want to be disturbed. When you toggle this on, you can choose the time window you’d like Do Not Disturb to turn on, and it will automatically do so during these hours. You can also activate the Bedtime feature. 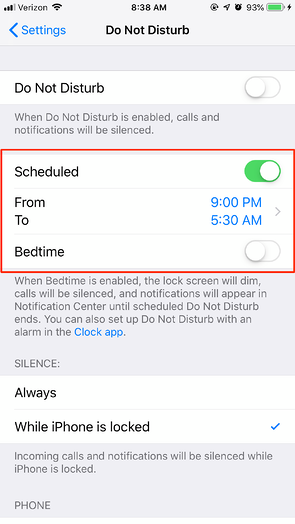 When doing this, the lock screen will dim, calls will be silenced, and any notifications you receive will be under “during bedtime” in the Notification Center until Do Not Disturb ends. Don’t worry, the alarm you set each morning will still go off when it is scheduled to do so. From Silence, you can choose if Do Not Disturb silences alerts, phone calls, and notifications always or just when your iPhone is locked. Basically, if you choose “Always”, Do Not Disturb will apply even if you’re scrolling through Twitter. If you choose “While iPhone is locked” and you’re scrolling through Twitter, you’ll still get any incoming alerts, phone calls, and notifications. This portion of Do Not Disturb is great if you’re only interested in getting an incoming phone call from someone in particular. For instance, you can choose to still receive calls from everyone who calls, no one, or just the contacts in your favorites. You can also select any groups you have created, including All Contacts. It’s important to note that if you choose to allow calls with Do Not Disturb, your iPhone’s actual ringer volume needs to be turned on. This means that the little switch on the left side can’t be switched to a silent ringer. Otherwise, your lock screen will still light up, but you won’t be able to hear the call come through. When repeated calls are toggled on, this allows a second call from the same person within three minutes to break through Do Not Disturb and will not be silenced. If you switch this on, the same applies to make sure that your ringer isn’t silenced. Introduced in iOS 11, Do Not Disturb While Driving limits the notifications you receive when you’re behind the wheel. You can choose that Do Not Disturb activate automatically, when connected to your car’s Bluetooth, or manually. Incoming calls will only be allowed if your iPhone is connected to the vehicle’s Bluetooth. If you get a text message while enabled, you can select whether or not the sender receives an automatic message. 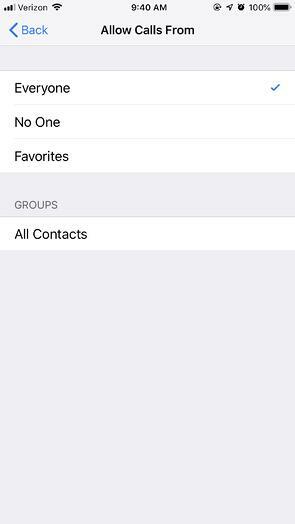 First, select that the auto-reply gets sent to no one, recent text messages, favorites, or from everyone in your contacts. 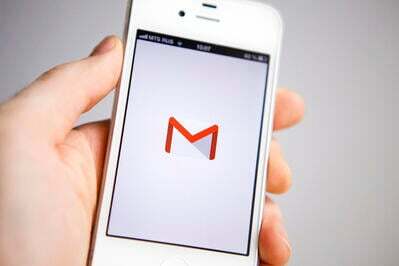 You can then create the auto-reply message. If the sender’s message is important. They can respond to your auto-reply with URGENT, which will then break through Do Not Disturb, and you’ll be alerted to the notification. If you don't see this feature, your iPhone software may not be up to date. Make sure it is by updating your iPhone to the latest iOS. At least for a little while. When you activate Do Not Disturb, you may find you get better sleep, are more focused at work, or just feel more at ease at the fact that you’re not constantly responding to text messages within 30 seconds (no one wants to be that available, anyway). Sometimes it’s nice to go off the grid and not be able to be reached 24/7/365. So go ahead, take Do Not Disturb for a spin and see if it’s a feature you’ll use only at bedtime, at your 9-to-5, or simply within a specific group chat.